Microsoft’s Cortana virtual assistant is getting a lot smarter. On Tuesday, the company announced a set of developer tools aimed at bringing it into the internet of things, and adding support for developers to build new functionality for it. The makers of IoT devices like speakers and cars will be able to use a Microsoft software development kit to integrate Cortana into their products. In addition, developers will be able to build custom integrations that add capabilities to Microsoft’s virtual assistant. Microsoft is also launching a new service designed to help users simplify the process of scheduling meetings. Cortana will help find openings on a user’s calendar and work with meeting participants to find a time that works for everyone. The new features are part of the company’s continuing investment in its virtual assistant. Microsoft is competing heavily against Google, Amazon, Apple and other companies to become the company that provides users with an intelligent assistant. Amazon’s popular Alexa virtual assistant, which is best known as part of the Echo speaker, can also be integrated into IoT devices and built to work with external services. Google recently announced that its assistant will also be able to integrate with other companies’ data as well. Microsoft is working with Harman Kardon to create a “premium home speaker” with Cortana built in, coming to the market in 2017. That speaker should help Microsoft better compete with Google Home and Amazon Echo. 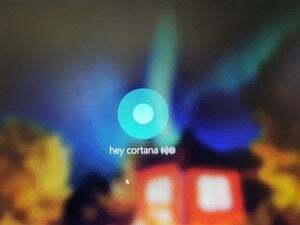 Microsoft is also working on integrating Cortana into connected cars, said Marcus Ash, partner group program manager for Cortana. More announcements about Cortana integration are forthcoming, but Ash said those will be driven by Microsoft’s hardware partners. Capital One will be one of Microsoft’s launch partners for the Cortana Skills Kit, which will let companies integrate their services with the virtual assistant. The financial company already offers a skill for Alexa, and the Cortana functionality will let users manage their money by doing things like checking their balance, paying bills, and seeing how much money they spent at particular merchants. The Microsoft calendar.help service is designed to make it easier for people to schedule meetings. Users can copy Cortana on an email sent to set up an appointment, and the virtual assistant will help pick out a time that works for everyone. It’s a move by the company to make its virtual assistant available through email, a new medium for Cortana. That may help Microsoft reach new users with its virtual assistant. Right now, we’re still in the early days for the virtual assistant space. Microsoft is constantly updating Cortana with new functionality, including announcing tweaks to the assistant’s Android app that change the way it looks and feels.